Imagine you go to sell or refinance your home and are told there are unpaid liens on your property you have no knowledge of and those liens cost up to $20.000. Now imagine you just lost your job and don’t have the funds to repay the liens and thus are not allowed to even sell your home to give you the ability to start over. Oh, and the city wants you to repay the liens in two weeks. This happened this year in the city of Snohomish when home developer Dynasty Homes and the city of Snohomish had a mix up on unpaid fees and taxes that should have been paid by Dynasty Homes before building permits were even issued for the 40 homes built on the Denny and Kendall Plats in Snohomish. The fees and taxes in question were unpaid school-mitigation and sewer-impact fees. The city forgot to charge Dynasty Homes with these charges at the proper time and Dynasty Homes since went broke and were unable to pay. Trying to recoup the lost fees, the city of Snohomish decided to charge the home owners the balance of the $391,620 bill, which ranged anywhere from $6,000-$20,000 per household. Letters demanding homeowners payments went out in April of 2012, and 11 homeowners decided and had the ability to pay, while 13 decided to fight the city over the fees. Most homeowners are not well off and simply don’t have the funds to pay, not do they believe they should be responsible for a mess up caused by the developer and the city. All of the homes sold on the Plats in question had the city, the title companies, and the banks sign off on their homes without anyone noticing or raising up the issue of the unpaid fees. “No one is rich in this neighborhood,’’ said Larry Thompson, whose daughter, a widowed mother of three, was required to pay $6,000 before she could sell her house and move. Thompson paid for her and now wants the city to reimburse him. Mayor Karen Guzak says the city is “willing to give these people time until they sell their homes or refinance but we absolutely must collect.’’ The fact that the city of Snohomish is trying to skirt their responsibilities and not take accountability for their mistakes and instead try to pawn off charges to their residences is a very scary one and something every homeowner should be aware of and frightened by. The city has tried to blame a since fired building-permit coordinator for the lost fees, however many retrieved emails would suggest the city knew of missing permit fees for some time and did nothing about it. Snohomish is a very small city in Washington in terms of both size and population, which may be a factor in why the city was trying so hard to recoup the lost fees. The Snohomish population is only 9,275 people, a population increase of 9.2% since 2000. 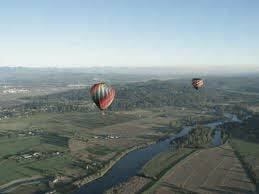 Snohomish is only 2.52 square miles within city limits and has topographical limitations on top of that. The median household income is lower than that of Washington states average at $49,223. The median home value is very close to that of Washington states average at $252,128. It’s mind boggling that the city thought they could take advantage of some of their residences instead of biting the bullet and taking ownership of their mistakes. Maybe the smaller size and economy of Snohomish contributed to this happening. In December of 2013, the Snohomish City Council decided that the homeowners were no longer going to be responsible for the outdated fees, however the 11 homeowners who did pay were not going to be reimbursed. Those homeowners who did pay are furious since the fees were already built into the home price and now they cannot recoup the money they were ordered to pay, such as Larry Thompson. “At this point, we’ll track down everyone who paid … and then the whole (fight) starts all over again,’’ Thompson said. The city stands to lose nearly $40,000 in uncollected sewer-hook-up fees and about $72,000 in school-district mitigation fees under the plan to not go after the homeowners, said Snohomish Planning Manager Owen Dennison. The residents are waiting for letters from the city officially telling them they are not responsible for the fees and clearing the titles to the properties. “I’m obviously very happy,’’ said Ric Suarez, who was billed for more than $6,000. “But they sound like they think they’re doing us a favor. It should never have happened.’’ Property owners should never have to deal with situations like this in the future, where cities problems and mistakes are haphazardly felled upon the unsuspecting homeowner.